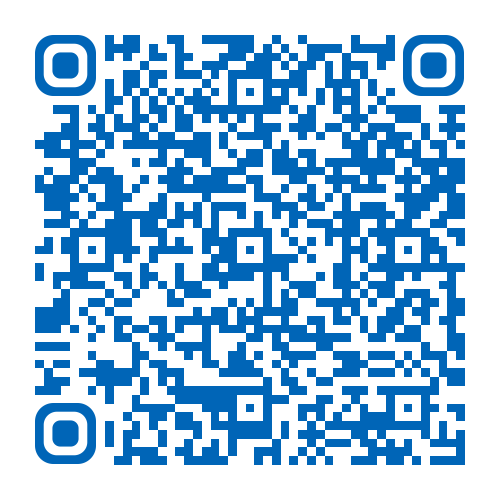 This leaflet has been produced to give you general information about your procedure. Most of your questions should be answered by this leaflet. It is not intended to replace the discussion between you and your doctor but may act as a starting point for discussion. If after reading it, you have any concerns or require further explanation, please discuss this with a member of the healthcare team. Before your gastric balloon is inserted you should read this information leaflet in full. You should also meet with our specialist dietitian, who can talk to you about which foods you should be eating, your weight loss expectations and how to modify your diet and eating habits. This procedure is performed as a day patient. You will not be able to drive after your procedure and you will need to arrange alternate transport home. Do I really need someone with me after sedation? Yes. This is very important. The sedation given can have effects, which last some 24 hours after the test. You can be forgetful and also sleepy again. Your test may be cancelled if you do not arrange to have someone to collect you and stay with you for the next 24 hours. Do not return to work or operate machinery. Do not sign any important/or legal documents. Are not left alone, you may be at risk of injuring yourself. Are not left alone to care for children. If you are an outpatient, the person accompanying you will be contacted to collect you. If you are an inpatient you will be transferred back to your ward. Who can have a gastric balloon? Patients suitable for the gastric balloon must have a BMI (body mass index) of 27 or higher. The gastric balloon can be used in a staged approach for patients who are too heavy to go directly to weight loss surgery or as the main treatment for patients who are too high risk to have surgery. It can sometimes be used as an alternative for patients who do not wish to have surgery or do not meet the recommended minimum weight guidelines for surgery. Who should not have the balloon? Previous gastric surgery (includes any anti-reflux operation). Hiatus hernia 5 cm in size or greater. Significant coagulation disorder (blood clotting). Potentially bleeding lesion of the upper gastrointestinal tract. Pregnancy or desire to become pregnant, and breast-feeding. Alcoholism or drug addiction or significant mental health problems. Any medical / clinical reasons so you are unable to tolerate / undergo an endoscopy. What does inserting the balloon involve? This procedure involves an endoscopic inspection of the upper digestive tract followed by the placement of a temporary water filled balloon (made by Orbera®) placed within your stomach for up to 6 months. You may be offered either a local anaesthetic throat spray or light sedation through a cannula in a vein while you are closely monitored in the endoscopy unit or theatre. You may choose to have only local anaesthetic throat spray but you should be prepared to have sedation and you must have someone that is able to take you home after your procedure. 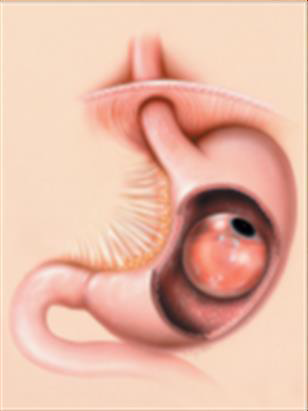 An endoscopy is then performed which involves a thin flexible telescopic camera being passed though your mouth into your stomach to ensure there are no abnormalities in the gullet or stomach that might prevent placement of the gastric balloon (such as an ulcer or a large hiatus hernia). The endoscopist then removes the camera and slides the rolled up collapsed balloon over the back of your tongue, and you are encouraged to swallow this down. This is the same size as the camera and no more difficult to swallow. The endoscopist then re-introduces the camera and watches the balloon as it is inflated with sterile saline (salty water) and a blue dye (the reason for the dye is explained below). The whole procedure takes 15-20 minutes. How does the balloon work? The Orbera®) Intragastric Balloon causes weight reduction by making you feel fuller more quickly during meals. The gastric balloon is a round, soft, fluid-filled balloon (around 700ml volume) lined by specially developed silicone to prevent your stomach acid from damaging it. The total amount of weight loss varies but some patients can lose as much as one third (33%) of their excess weight (that is the difference between the actual weight and the ideal body weight). While the gastric balloon is in place you will feel full more quickly, However you should concentrate on healthy eating, avoid constant snacking and avoid high calorie/high fat/sugar or high carbohydrate foods and drinks. Failure to lose weight is uncommon; however the balloon is part of a weight reduction programme and requires modifications in your diet and life style and level of activity to be fully effective. 1 in 5 patients may not see a significant reduction in their weight. A temporary sore throat from the endoscopy and balloon insertion procedure should wear off in 24 hours. Reflux after the gastric balloon can occur because there is less room within the stomach. It is like how you feel after a very large meal, any other food or liquid contents can regurgitate back up into the gullet, sometimes causing “heartburn” or “indigestion” symptoms. You should ensure your meals are small in volume and that you take an acid suppression medication (known as proton pump inhibitor or PPI) daily as prescribed by your hospital doctor and continued by your GP throughout the time the gastric balloon is in place. In the first 48 hours the gastric balloon can irritate the muscle of the stomach wall causing griping pains. This usually settles over the first few days and a liquid diet can help minimise these symptoms. If you experience fullness, bloating or retching, you should try to lie on your left side and massage your abdomen upwards under your ribs. This can help move your gastric balloon into a better position. You can be given medication for pain and cramp if it is severe. Nausea and vomiting occur in 95% of those receiving a gastric balloon and can last for 2 – 3 days. This may be severe enough to cause dehydration. For that reason some clinicians believe a short inpatient stay of up to 48 hours after the gastric balloon insertion to ensure that all the early symptoms from the gastric balloon are under control, whilst other clinicians do not. Your supervising clinician will discuss this with you. An inpatient stay would involve receiving intravenous fluids and medication for nausea and vomiting until the vomiting stops. Less than 3 in 100 patients require removal of their gastric balloon if symptoms above cannot be tolerated or they are unable to keep fluids down which does not settle. Food can coat the balloon causing bad breath or smelly burps. Drinking clear fluids or sucking on ice cubes can help clear digesting food off the balloon and get rid of bad breath odour. Your stomach should be empty at the time of insertion or removal of the gastric balloon. However there is a small risk that fluid from the stomach could enter your lungs causing chest infection. This is extremely rare in patients that have not eaten for the required amount of time prior to the procedure. Bleeding during endoscopy and insertion of the balloon is very rare and affects less than 1 in 10,000 patients. Endoscopy with sedation has a small risk of slowing breathing down so that oxygen levels are too low. All patients receive oxygen during the procedure and are closely monitored to prevent this. Can the balloon itself be damaged or cause any internal damage? This occurs in less than 1 in 200 gastric balloon placements. The blue dye in the gastric balloon acts as a “warning system” and leaks from the balloon and are absorbed and changes your urine colour temporarily to green, this is a warning sign that you should seek immediate medical attention for removal of your gastric balloon. If you suddenly notice you feel less full this may be a more subtle sign of the gastric balloon having deflated and you should seek advice. Removal of the gastric balloon should resolve the problem. This occurs in less than 1 in 200 gastric balloon placements. If the gastric balloon does deflate it may slip into the lower stomach or bowel and cause obstruction. This will give serious symptoms such as severe abdominal pain, vomiting and progressive bloating. These symptoms mean that you should seek immediate medical attention for removal of your gastric balloon. An emergency operation is very rarely needed. This is required if the gastric balloon makes a hole in the bowel or blocks the bowel. There is a risk of the complications of perforation or obstruction from the gastric balloon or aspiration pneumonia from vomiting and aspiration of stomach contents into the lungs. This is because overweight patients do not recover as well when such complications occur. What happens after the balloon is placed in the stomach? All patients require lansoprazole 30mg or omeprazole 20mg (PPI acid suppression) once in the morning before breakfast while the gastric balloon is in place (i.e. 6 months for most people) Many patients require anti-emetic (nausea medication) for one week after the insertion of the balloon. Anti-spasmodic (cramp medication) may be required for a short period after the gastric balloon is first placed. Sips of fluids only such as water, cordial juices, clear soups. Liquid diet, soups, milk, broth, jelly, liquidised food. Semi-solid food, progressing to healthy, calorie controlled diet. Eat regular meals, including 3 main meals and a snack in mid-morning and mid-afternoon. Do not consume the evening meal too late, and wait at least 2 hours after eating before going to bed. Drink at least 1.5 litres of water per day (unless you have another medical reason that prevents you from doing so). Limit the consumption of liquids during meals. Eat slowly and chew carefully. Avoid hard nuts and seeds and anything that may damage the balloon. Avoid products containing simple carbohydrates (chocolates, honey, gelatine, ice cream, pastry, sweets, dried fruit, dates, raisins, prunes, etc.). Avoid beverages containing caffeine and carbonated drinks. Exclude foods difficult to digest based on your own experience. Use of sweeteners, in moderation, is acceptable. Avoid unnecessary foods or habits that increase gastric (stomach) acid. Follow the meal schedule provided by your dietitian as closely as possible. Participate in physical activity according to your ability (swimming, bicycling, fast walking, etc.). Adopting a healthy level of activity will aid the weight loss process. When and how is the balloon removed? The gastric balloon must be removed with another endoscopy procedure no later than 6 months after insertion. Gastric balloon removal is done as a day case and no hospital stay is required. You should take only a liquidised diet for 48 hours before this procedure and be fasted for 12 hours before removal of the gastric balloon. The removal procedure involves insertion of the endoscope into the stomach, puncturing the balloon, evacuating its contents and then removing the outer casing of the deflated gastric balloon with the endoscope. The process takes no longer than 15 – 20 minutes and can be done under light sedation or just local anaesthetic throat spray. Should you require further advice on the issues contained in this leaflet, please do not hesitate to contact the Upper GI Team on telephone no: (01482) 674309.